This post is sponsored by Bubblebum. All opinions are my own. Find out how it’s easier to carpool and to travel with a child’s booster seat by using Bubblebum inflatable booster seat! When my daughter started Kindergarten, Bubblebum was the very first tip that I learned about from the other moms. See, my friend had a two-door car, but she wanted to be able to carpool with other families. 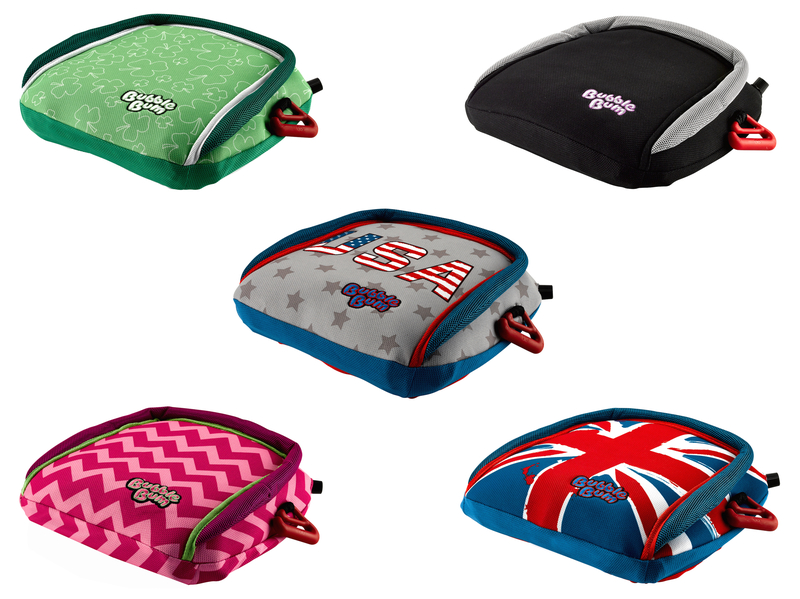 What is a Bubblebum Booster Seat? Well, the technical answer is that it’s the original, inflatable car booster seat for kids aged 4-11 years, weighing 40-100 lbs that can fit 3 across the backseat. But, the mom answer? It’s exactly what we all need to have in the back of our cars to make carpooling and traveling with our big kids a breeze! See, I learned quickly that it was going to be hard to safely take other kids home with me after school. The thing is, it’s almost impossible to fit two boosters in the backseat of my car since they have bulky armrests and my younger kids are still in car seats. There’s just not enough room for two big boosters and a car seat in the back. To let the kids travel without booster seats. In fact, new research carried out by BubbleBum has revealed that the majority of parents have driven a child in their vehicle without the correct car seat. And, I have to admit. I’ve done it before too! Why Buy a BubbleBum Booster Seat? Well, BubbleBum includes belt-positioning clips instead of having arm rests, so it’s possible to fit three boosters across the back seat of a car, minivan, or SUV! 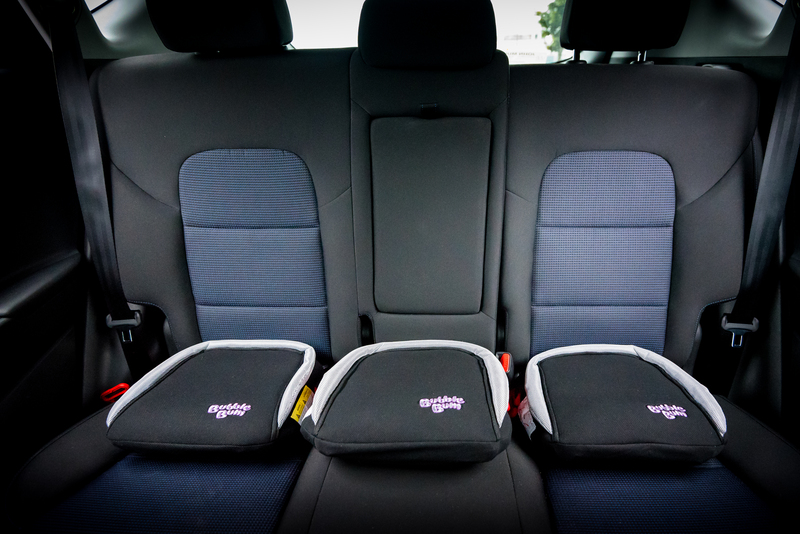 And, it makes sense because BubbleBum was created by an Irish mom-of-two, Grainne Kelly, as a solution to her own struggles while lugging heavy booster seats during her travels with her kids. Now, BubbleBum is leading the way in ensuring that EVERY child has a safe and comfortable booster seat on EVERY car ride. What Make BubbleBum Booster’s Easier than a Traditional Booster? Well, my favorite part is that it’s easy to store and takes seconds to inflate. In fact, my daughter can deflate, roll up, and place BubbleBum in its handy sack all on her own. We have put her Bubblebum in her backpack so she has her booster with her when she goes to a friends house after school, but now all the moms that I know have bought our own Bubblebum boosters to store in our cars. That way, we can always safely another kid home with us in a pinch! Does Bubblebum Make it Easier to Travel? Summer vacations are right around the corner. BubbleBum will keep kids safe no matter where your travels take you. It’s ideal for road trips, fly-ins with car rental, Uber/Lyft and Taxi rides. Personally, this is my favorite reason to have a Bubblebum on hand. We like to fly with Bubblebum because we can easily store it in our carry on luggage. That way, if we can safely drive the kids around in our rental car without having to lug bulky boosters around the airport. But, it also makes it easy for my kids to jump in the car with their grandparents when we go to visit without my family having to buy and store their own car seats for my kids! But, is Bubblebum a Replacement for a Traditional Booster? We still use booster seats in our cars for everyday driving, but just like a traditional booster, BubbleBum offers the perfect “boost” to keep kiddos from slouching to bend their legs over the edge of the car seat. Slumping introduces slack into the belt path and can lead to submarining (where the seat belt slides above the pelvis and into the abdominal area). This is extremely dangerous, as it can cause abdominal injury in the event of an accident. Which is why we don’t want to just drive our kids without a booster to make it “easier” when we carpool or travel. The IIHS (Insurance Institute of Highway Safety) chose BubbleBum as the “Best Bet” in their booster seat evaluation report for the past 6 years. Parents can trust BubbleBum to keep their most precious cargo safe in the event of an automobile accident. BubbleBum’s air-filled design provides extra comfort and will keep kids comfy AND safe for all long and short car trips! Weighing in at less than one pound, BubbleBum can inflate and deflate in seconds, making it simple to throw in a backpack or large purse. BubbleBum is super cute too and comes in the following designs: Black, Pink, Luck of the Irish, British-inspired Union Jack, and American Stars & Stripes. Retails for $29.99 on Amazon which is an easy purchase to keep our kids safe! I personally bought a black Bubblebum so that I could use it for all of my kids, but I know that my daughter would have loved to have the pink one! Bubblebum is small and easy to inflate and deflate. It stores easily in its sack. It keeps kids in a safe body position for riding in the car. It easily fits three across the backseat. I feel like we should put this on every back to school list for moms! I could not be happier that my friend discovered this awesome, inflatable booster seat. We’ve recommended this to a bunch of friends who love it too. It keeps our life simple while keeping our kid’s safe. Finally, a mom hack that actually works! Thank you to Bubblebum for sponsoring this conversation. I already brag about your product to every mom that I know, so it is wonderful to get to work directly with you! Follow along with Bubblebum on Instagram, Facebook, and Twitter.